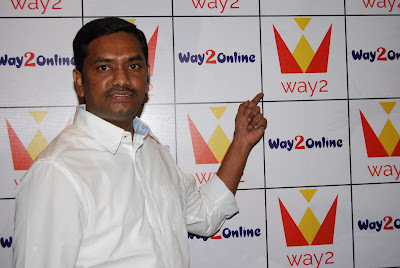 Way2Online, a ‘media on mobile’ company that caters to seekers of news & information both in English and regional Indian languages, registers phenomenal success with over 2 billion (200 crore) screen views within a month. With each user flipping an average of 90 articles/news, Way2online managed to accomplish this feat in May, 2017. With this, the company, which first began operating back in 2015, has strengthened its position as one of the most prominent multilingual news sources in India. The company had previously reached 500 million views per month within just 3 months of its launch, and has been going strong since. It is also exemplifying mobile-first technology by building media within mobile screens. By pivoting the business towards short news in local languages, Way2Online is gaining significant traction, and is witnessing steady adoption by users across India. In addition, by tweaking technology, the app is also able to reach out to customers based in tier-2 & tier-3 cities, i.e. areas that usually suffer from challenges like bandwidth availability and smartphone penetration. Way2Online has a pan India presence, and is popular across most tier-1, 2, and 3 cities. It has registered over 10 million downloads so far, and is adding over 8 lakh new users every month. It also hopes to become the go-to place for those readers, who wish to stay abreast of latest happenings without spending too much time on detail.